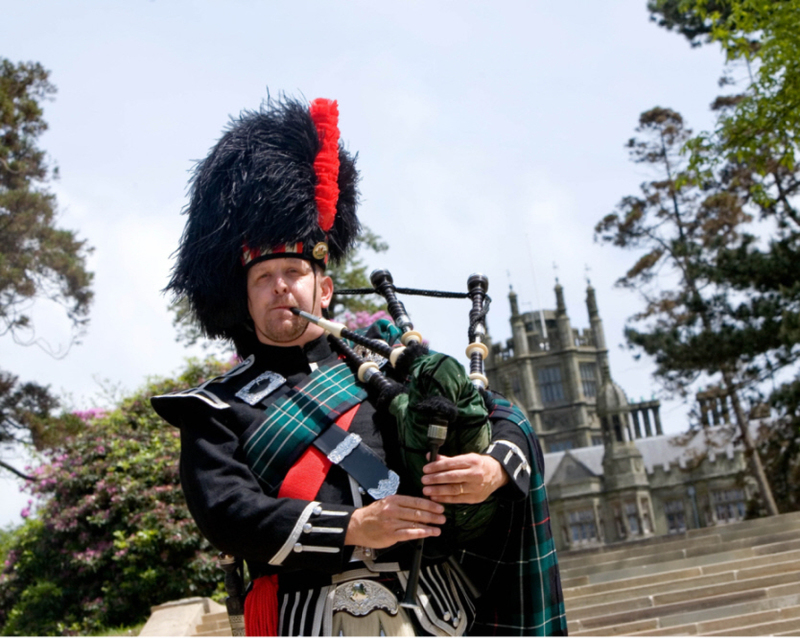 My name is Matthew Bartlett, and I am The Welsh Wedding Bagpiper. 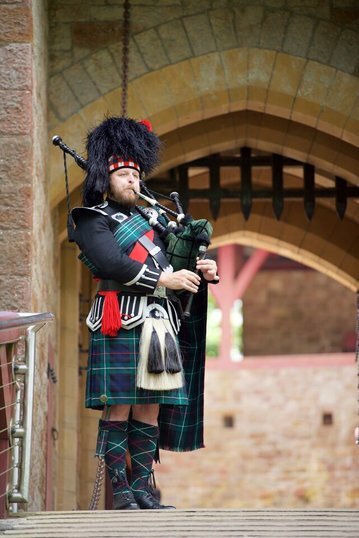 I am an experienced solo bagpiper based in Newport, South Wales, UK and I am available for weddings, parties ,celebrations or any other special event or function across the South Wales region and beyond. 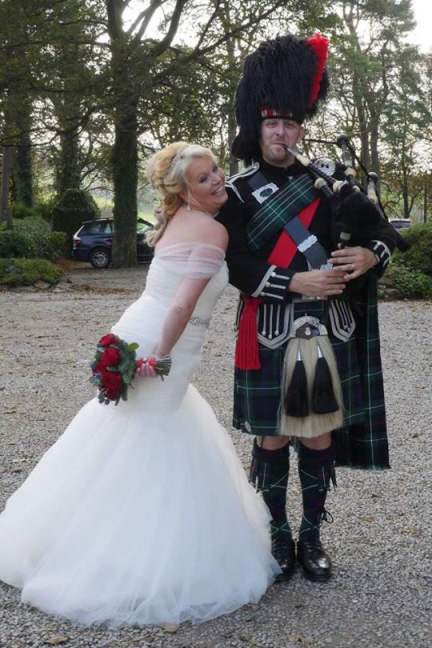 I am a traditional bagpiper with extensive experience of piping at weddings across the UK and I have piped at many of South Wales' top wedding venues. 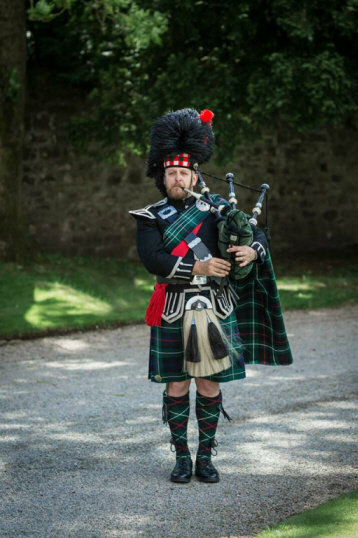 With the fantastic sight and sound that a bagpiper dressed in full highland uniform can bring to any event, I am guaranteed to make your wedding a truly memorable occasion. Please take a tour of my website, watch my videos and view my photographs. If you have any questions at all, or if would like to enquire about booking me then please contact me. 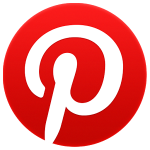 You can see all my latest news and updates by following me on Facebook, Instagram or Pinterest. 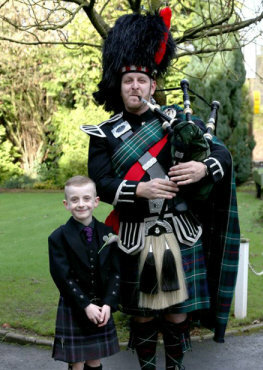 "Dear Matthew, I would like to take this opportunity to thank you so much for playing at my daughters wedding on Saturday. She said seeing you playing as she pulled up totally made her dream come true, everyone is still talking about it and we can't wait to see the video to take it all in." "Matthew, what an incredible day and you really made it extra special for us! Thank you so much for coming and being part of our wedding. When we turned up the road and heard you playing we were both overwhelmed. We really felt like we had arrived in style. 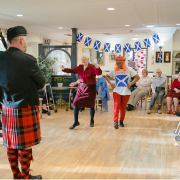 Our guests were so impressed and the Scottish contingent didn't stop raving about you. We really appreciate everything you did. A big thank you for all your hard work". "Matthew, thank you once again for playing for us and our guests last night. 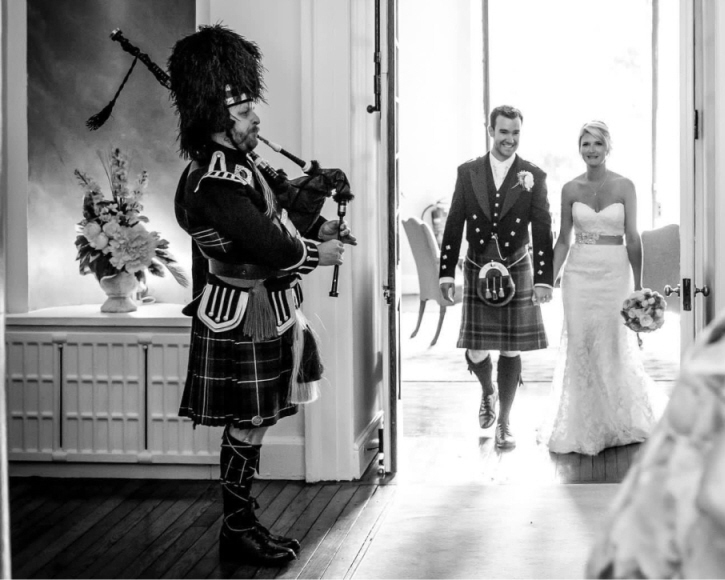 Our guests were so excited to walk in to your piping and it created a real buzz. Dealing with you has been a pleasure and we couldn't recommend you more highly. Thank you once again for making an incredible day even better". 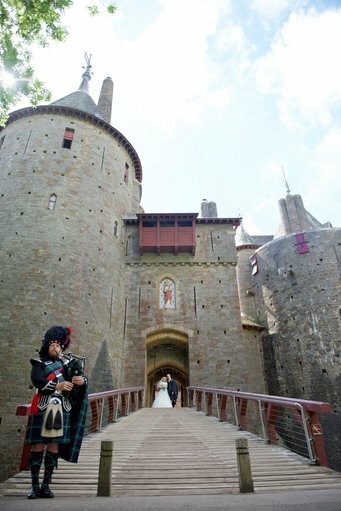 If you have any questions at all, or if would like to enquire about booking The Welsh Wedding Bagpiper then please contact me.